Mia and Blaise get up to all sorts of things when we leave for a few hours. This time it was Mummy’s favourite curry noodle soup that cannot be bought in Australia, they did try the curry powder but didn’t like it. Their favourite part was the coconut milk! and they will happily do it again! Posted August 3rd, 2015 . 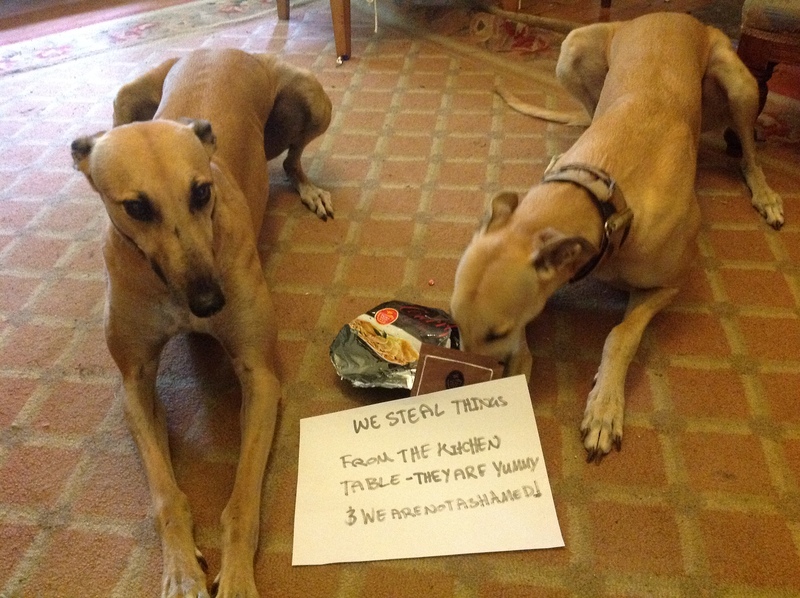 I have a counter surfing greyhound who does the same thing nothing is sacred. I feel your pain.